The Bela Kussin Library serves all grades, TK – 8, and houses more than 8,000 print and online resources. The library strives to foster a lifelong love of reading, nurture intellectual curiosity and develop critical seekers and consumers of information. Through collaboration with teachers and administration, the library offers authentic opportunities to develop research skills. 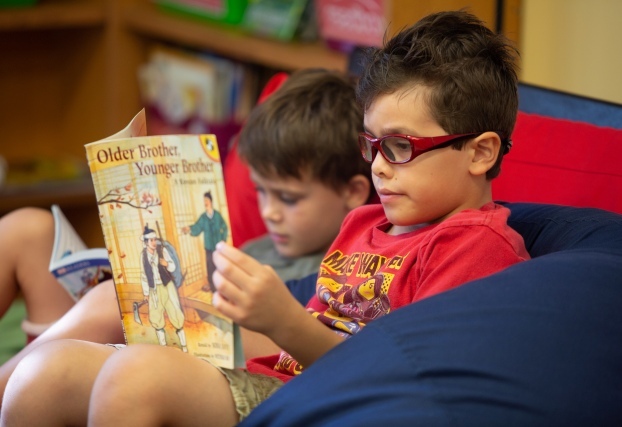 When you enter the library, you might find “Mystery Readers” sharing a book with captivated first graders or fifth graders enjoying individual reading time. 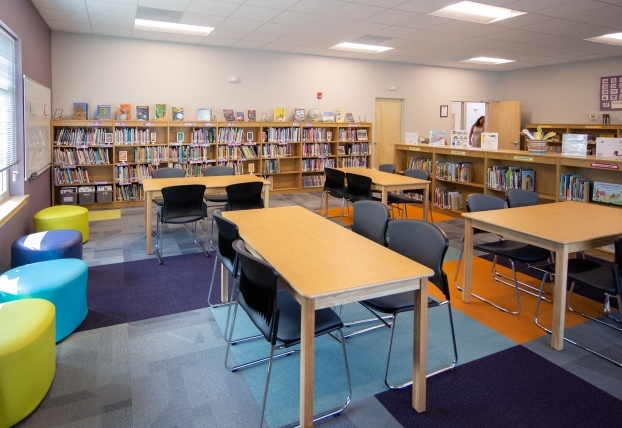 In the Lower School, each class comes to the library during a set time each week, while Middle School students and teachers use the library and databases flexibly as needed throughout the year. Our library program provides 24/7 access to the online catalog and electronic databases.